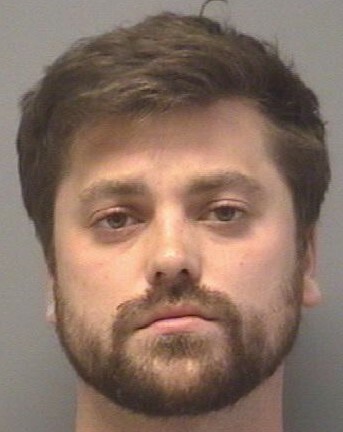 EKIN – Bond was set Wednesday at $500,000 for a Morton man when he was charged with killing a motorcyclist while allegedly driving drunk late Tuesday. Colton Vinovich, 25, told his father at the crash site, “I guess I smoked the stop sign” at Tennessee Avenue and Queenwood Road southeast of Morton, according to a prosecutor’s court affidavit. The crash killed Clayton Burger, 64, of Creve Coeur, who was pronounced dead at the scene. Vinovich was charged with aggravated DUI causing death, a Class 2 felony punishable by three to 14 years in prison, with probation available only if an “extraordinary circumstance” is found as a factor in the case. Vinovich acknowledged he had drunk “more than three beers” before driving but earlier said he had gotten off of work about a half-hour before the crash, the affidavit stated. Tests at a hospital after the crash revealed his blood-alcohol content at .145 percent, nearly twice the legal limit for driving. Vinovich also told police at the scene that he had stopped at the intersection but didn’t see Burger’s motorcycle approaching on his right as he pulled into the crossing that’s located within unobstructed farm fields. Colton J. Vinovich, of 1919 Chicory Road, Pekin, Illinois, was ticketed by Officer Jeff Hall on Jan. 17, 2010 for speeding. Arrested by Officer J. Frost on Sept. 23, 2016, entered a guilty plea to speeding at 26 – 34 mph over the limit on Oct. 18, 2016. Currently paying $100 per month via a credit card to the court for the fine. Colton J. Vinovich, of 538 Brentwood Road, Morton, Illinois, charged on June 23, 2017 at 4:53 am by Officer Jacob Hibbert charged Vinovich on June 21, 2017, with operating an uninsured motor vehicle, failure to yield the right of way at an intersection, operating a vehicle with expired registration, aggravated DUI death, preliminary hearing held on June 21, 2017 and ordered by Judge to be held without bond. Arraignment set for July 17, 2017, at 1:30 pm. 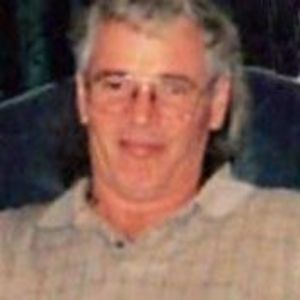 CREVE COEUR ~ Clayton Lee “CL” Burger, 64, of Creve Coeur, passed away at 11:54 p.m. Tuesday, June 20, 2017, in Morton. He was born May 20, 1953, in Pekin to Carl E. and Ruth Viola (Tyler) Burger. He was preceded in death by his parents. Surviving are his fiance’, Ann Eads of Bloomington; one sister, Suellen Marie (Owen Lee, Jr.) Sowers of East Peoria; one nephew, Reid Owen (Yanira) Sowers of Lynchburg, VA and three grandnieces and grandnephews, Judith, Lyann and Owen Joel. CL had served in the U.S. Army in Fort Campbell, KY as a helicopter mechanic. He had worked as a pilot for 20 plus years, that included giving aerial tours of the Grand Canyon. He had also worked for the Village of Creve Coeur for seven years and as a bus driver for the sports teams at Illinois Central College. The last three years, CL was the owner/operator of Eye of the Hawk Photography & Videography. CL was a member of the Sea Plane Association. A very loving, caring and patient man, CL had a heart of gold. He loved animals, loved to laugh and always had a good story to share. He was a member of Bethel United Memorial Church of Christ in Creve Coeur. His memorial service will be at 10:30 a.m. Saturday, June 24, 2017, at his church. Pastor Dwight Borden will officiate. Visitation will be one hour prior to the service. Burial will be at Glendale Memorial Gardens in Pekin. Military rites will be provided by Military Funeral Honors and the Tazewell Military Rites Team. Memorial contributions may be given to Tazewell Animal Protective Society, 100 TAPS Ln., Pekin, IL 61554. This entry was posted in Arrest bookings and tagged allegedly driving drunk, Clayton Burger, Clayton Lee “CL” Burger, Colton Vinovich killed motorcyclist in DUI crash, Driving Under the Influence, driving under the influence of alcohol, driving while impaired, driving while intoxicated, DUI, DWI, Illinois State Police, Jeep SUV., Morton police, Tazewell Animal Protective Society. Bookmark the permalink.